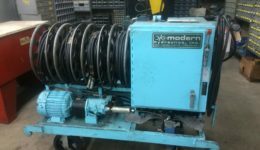 We specialize in the Remanufacturing / Repair of Modern Hydraulics Die Seperators. 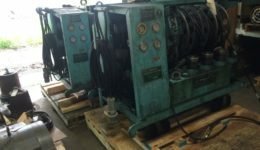 We repair all makes/models of Die Separators and Industrial Hydraulic Jacks. 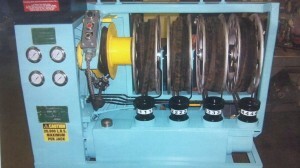 This is what a typical Die Seperator looks like when it arrives and then what it looks like after we re-manufacture it. 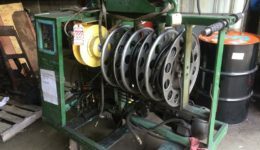 Anchor Lamina 6 puck die separator for General Motors Corp. 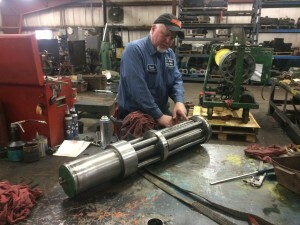 Rebuilding of Modern Hydraulic’s Die Separator Master & Slave cylinders assembly. 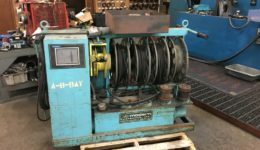 Four “puck” in process of being rebuilt for Chrysler and an old manual Modern Hydraulics die separator awaiting rebuilding. 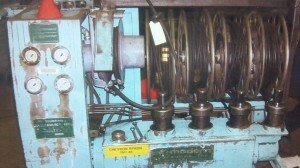 Top Photo: Modern Hydraulics die separator received from GM Due Management. 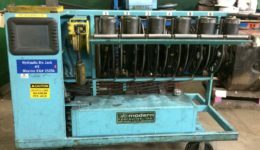 Modern Hydraulic’s Die Separators. Received from Chrysler for repair and reconditioning. 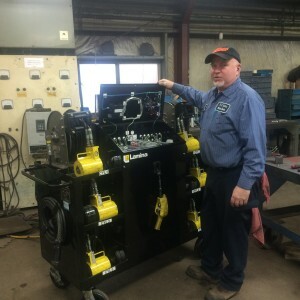 Six puck Modern Hydraulics Die Separator received from GM Die Management for reconditioning and repair.